Asher Dell Farm offers herding testing and training for all breeds of herding dogs. We currently work with Border Collies, Australian Shepherd, German Shepherd, Shetland Sheepdogs, Old English Sheepdogs, Corgis, Tervuren, Malinois, Rottweilers and other herding breeds. 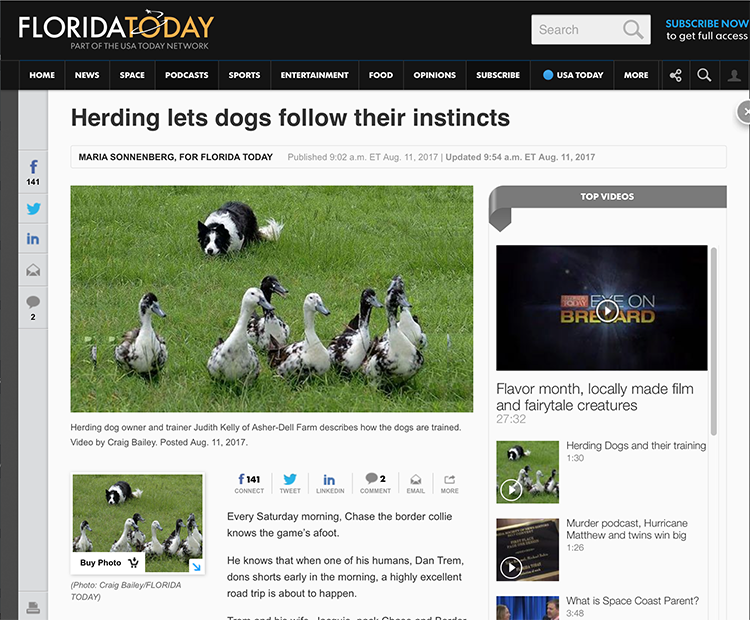 Judith prides herself in offering the best possible instruction and training for your herding dog. Using her years of experience and knowledge of dog behavior and herding to form a sound training program for you and your dog.